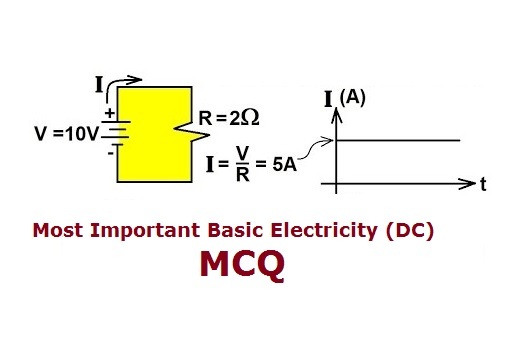 Most Important Basic Electricity (DC Ckt) MCQ (50 MCQ) for EEE Interview. 4.Which of the following has positive temperature coefficient ? 6.Which of the following has negative temperature coefficient ? 12.Which of the following is not the unit of electrical power? 15.Resistance of which material does not change with change in temperature ? 17.Which is the lightest particle of atom? A. to create limit voltage. B. to create limit current. C. to create high voltage. D. to create high voltage and limited current. 21.Which of the following bulbs will have the least resistance ? 22.Three identical resistors are first connected in parallel and then in series. The resultant resistance of the first combination to the second will be..
23.Which material is expected to have least resistivity? C. 1 / 9 times. D. 1 / 3 times. 26.Which resistor will be physically larger in size ? 30.Which of the following material is not used as fuse material? 33. For which of the following ‘ampere second’ could be the unit ? 37. Two lamps 100 W and 40 W are connected in series across 230 V AC. Which of the following statement is correct ? A. mutual collisions between conducting electrons. B. the release of conduction electrons from parent atoms. C. mutual collisions between metal atoms. D. collisions between conduction electrons and atoms. A. direction of magnetic field. C. direction of electric field. A. 5 J / C.
B. 5 C / Sec. C. 5 V / C.
D. 5 W / C.